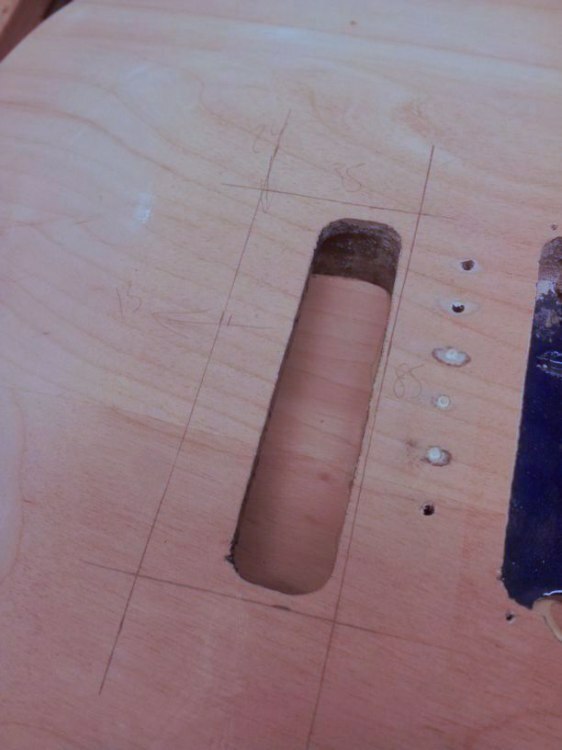 In this tutorial we will look at the work required to convert a guitar equipped for a tremolo system to one with a simpler hardtail style bridge. 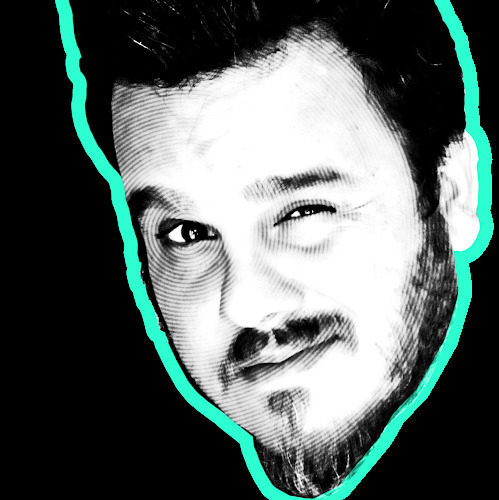 This tutorial is an update on the original by @Brian - all credit goes to him! 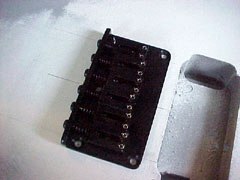 I bought a cheap Alder body from eBay for a great price, however I wanted to fit a hardtail bridge instead of a vintage six-screw tremolo like it was set up for. 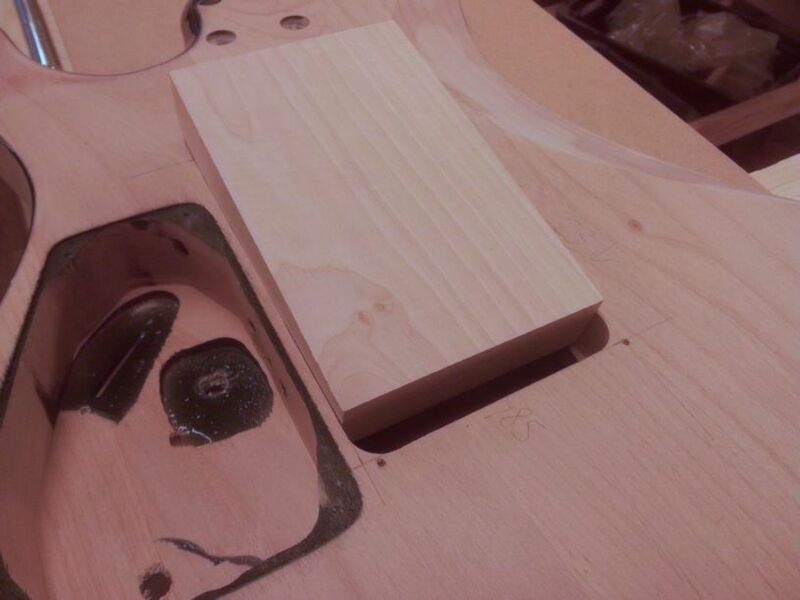 I decided to do the rear rout first. 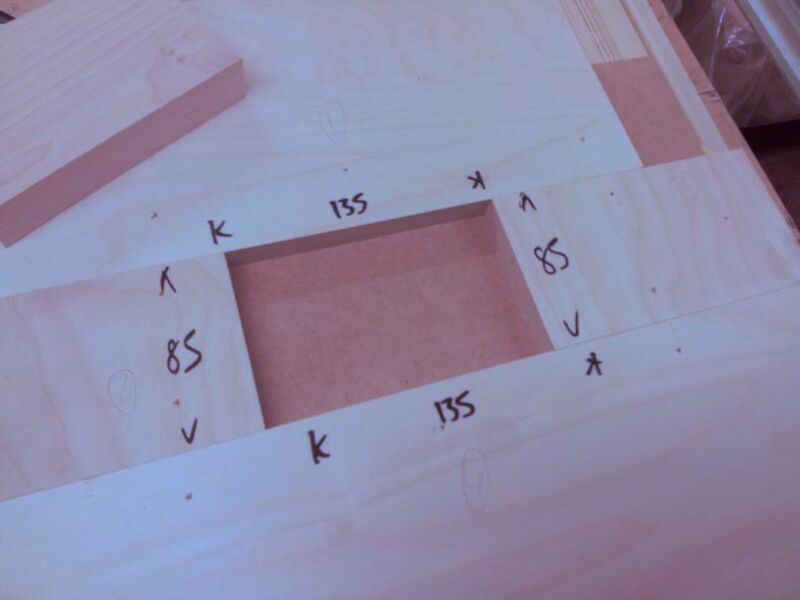 Using an accurate drawing tools I outlined the rout with a rectangle measuring 135mm x 85mm. This needs to go at least 23mm deep. 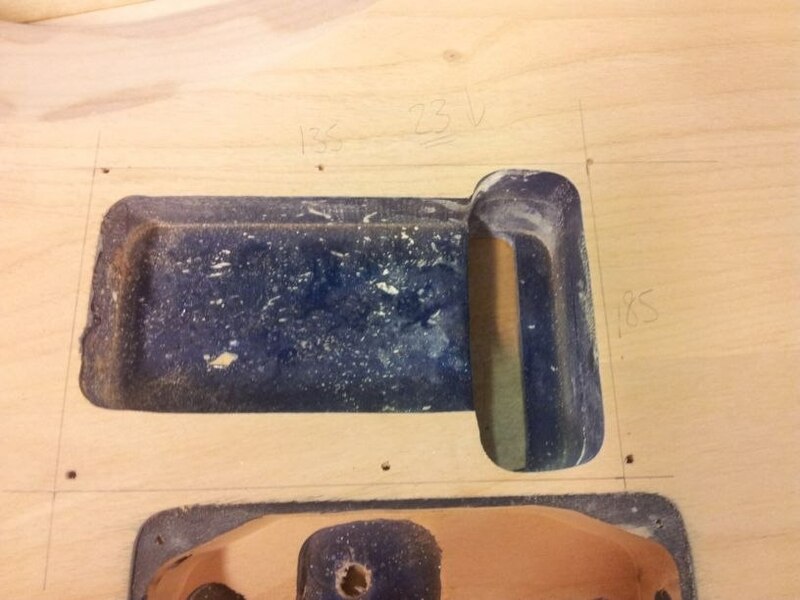 The first job is to size up the infill wood to those dimensions. 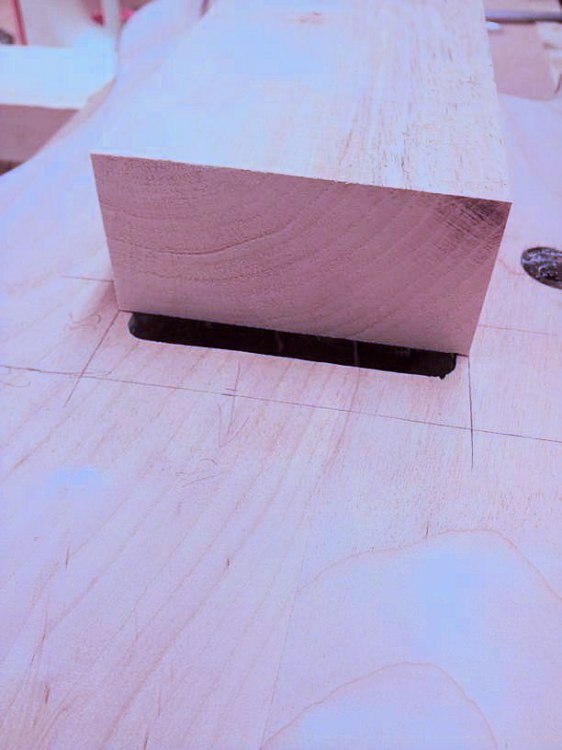 I took a piece of Alder longer than the cavity and sized it to 85mm x 25mm before cutting it to length on the table saw. 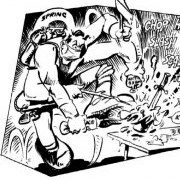 Ensuring that the cuts are clean and square is essential. 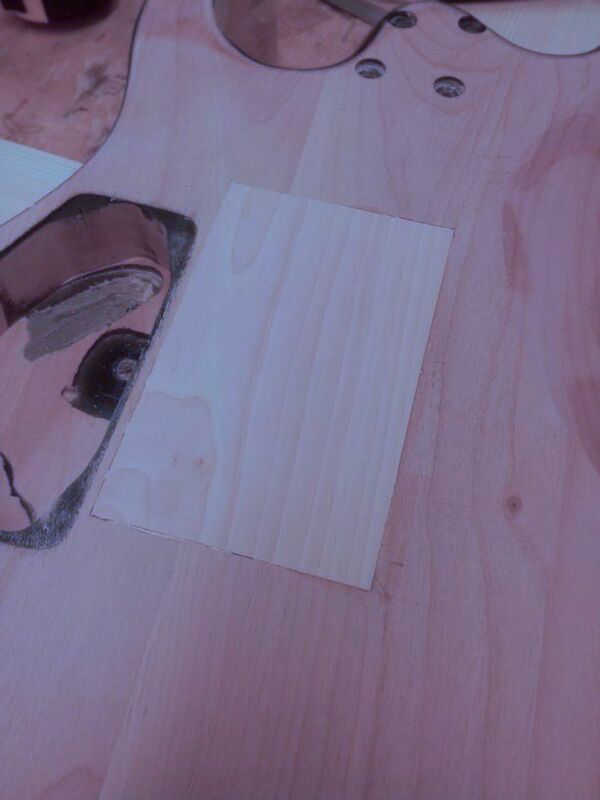 The next step is to make a negative routing template. You can do this one of two ways. 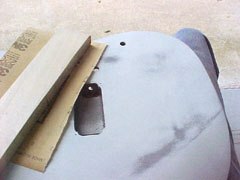 One is to make a temporary template out of four pieces of MDF/plywood, however these can often be a little difficult to attach to the guitar. Double-sided tape works nicely. 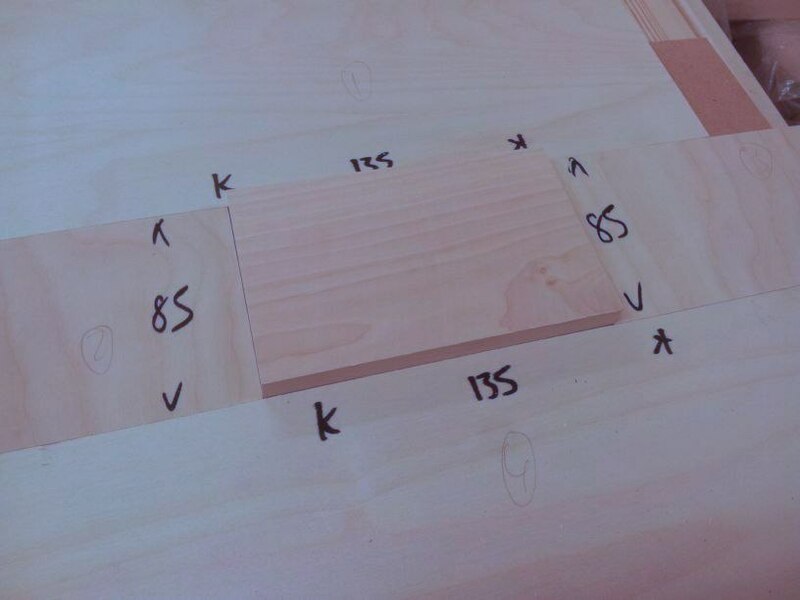 The second option is to make the temporary template as before and screw these to a second sheet of MDF/ply to make a more secure and easier-to-mount template. Your choice! To make the temporary template, (say) 1/2" MDF or plywood sheet to the same width as the infill (85mm). 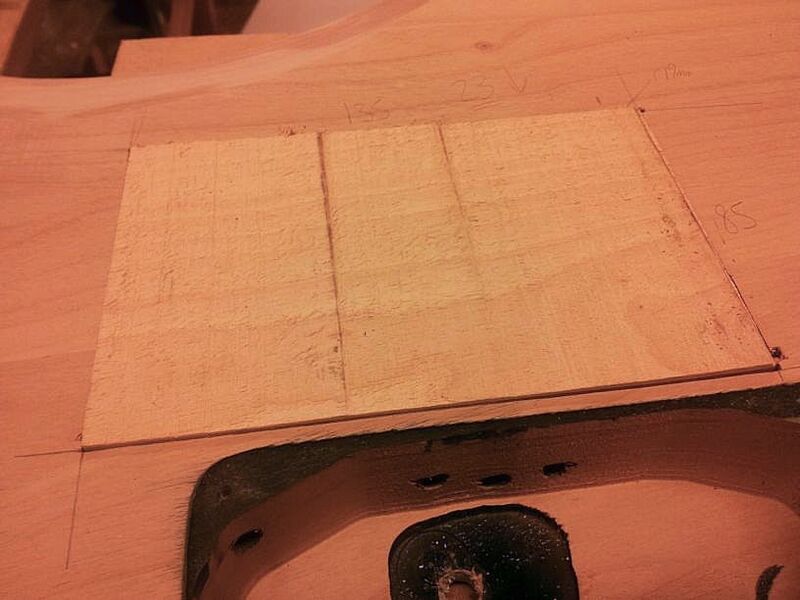 Next, crosscut this into two pieces on a table saw. 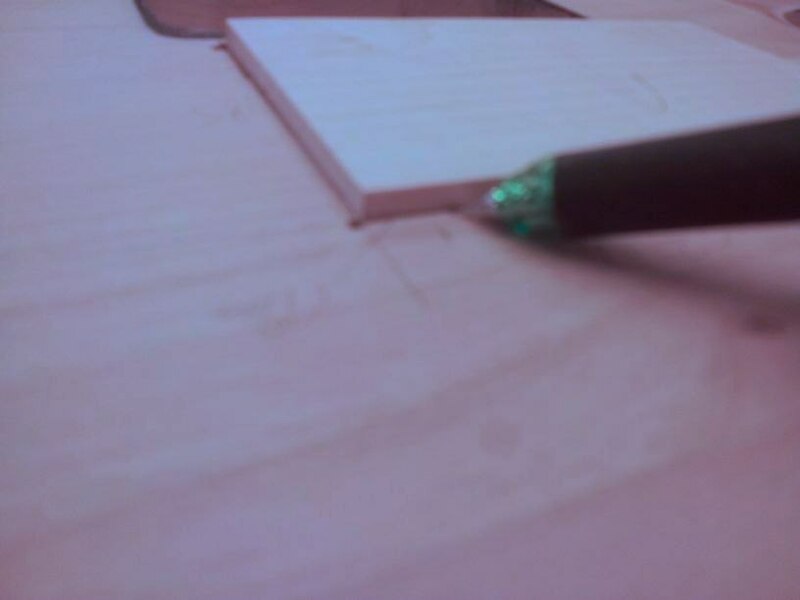 Next cut two strips of MDF/ply about three times as long as the infill. Just make sure these have a clean long edge each. 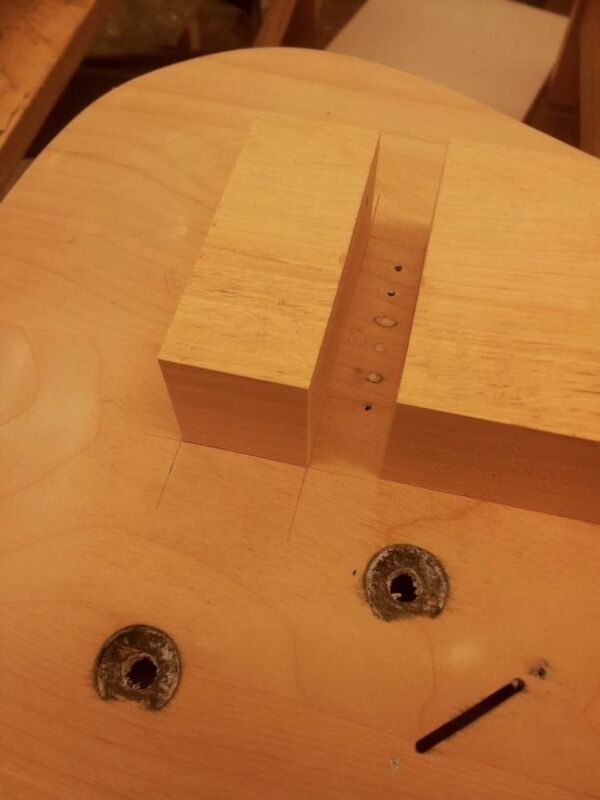 If they all fit snugly around the infill, apply tape or screw the pieces in place. I air-nailed them. You can now remove the infill. 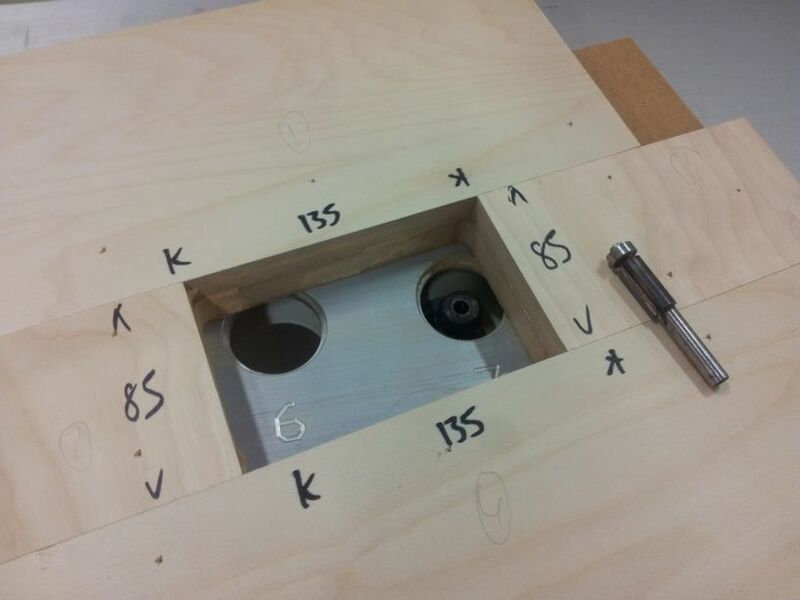 Use a drill and Forstner bit to remove the majority of the centre of the template and finish it off with a bearing-guided router bit. 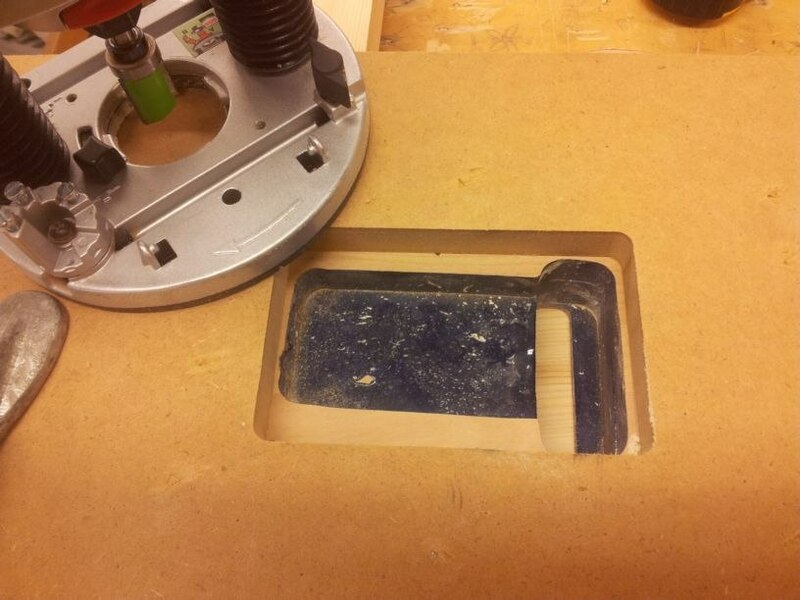 I did this on a table router, however you can do this with a hand-router also. 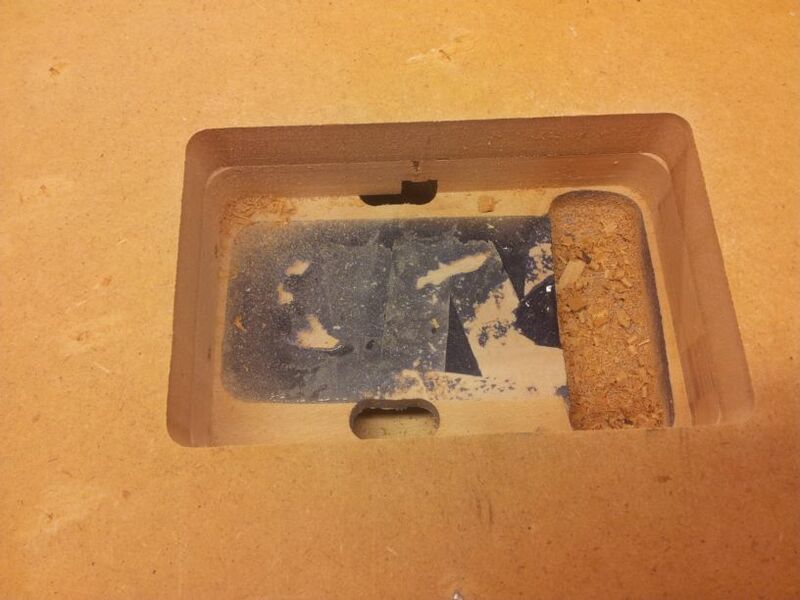 Apart from the rounded corners (this is no problem) the negative template should be a perfect fit for the infill. 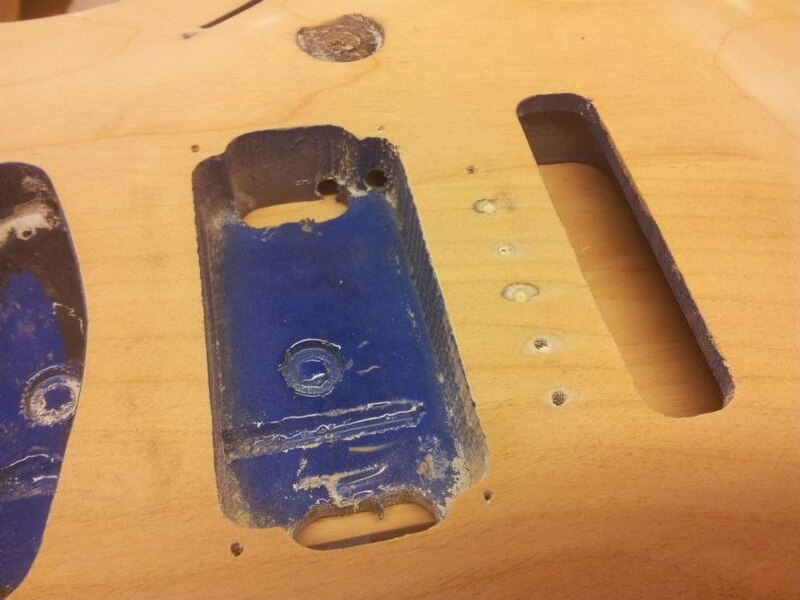 Place the template over the guitar body and tape or clamp it securely in place. 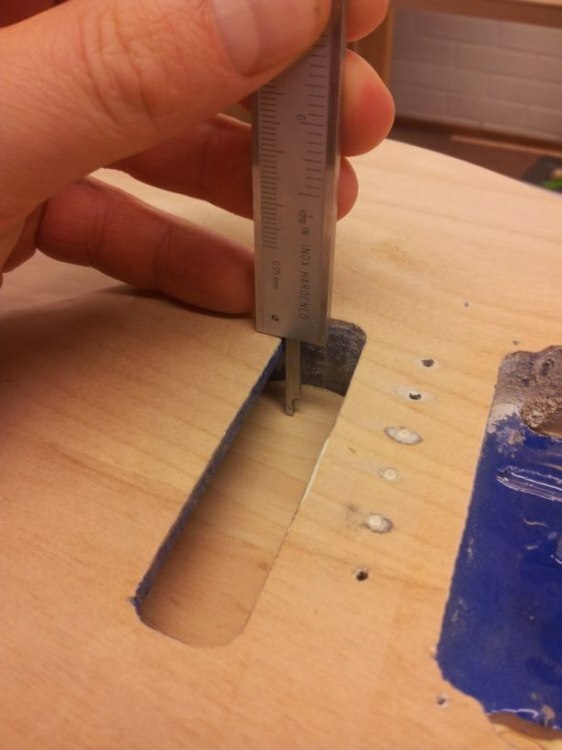 Using several light passes, cut the body until you reach the desired depth (23mm). Excellent. 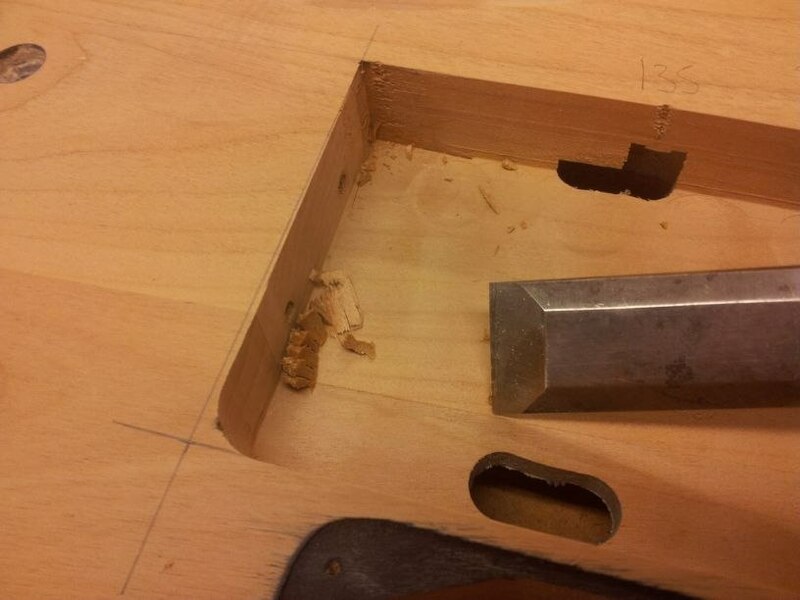 Now the template can be removed and the corners squared up using a sharp chisel. 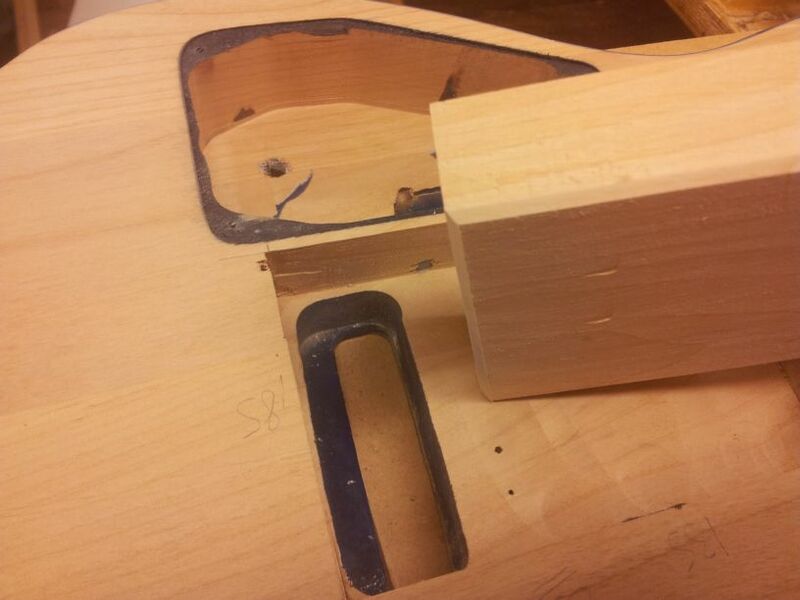 Carefully check the infill for fit....don't force it in because you need to be able to remove it! 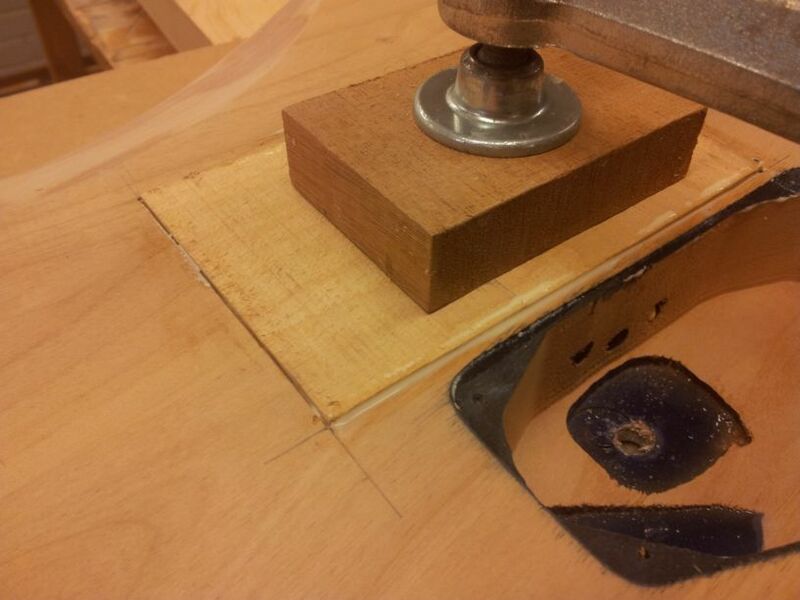 I relieved the inner corners of the infill, simply to ensure it sits as flush as possible when clamping. Hydrostatic pressure from the glue sometimes prevent perfect seating. 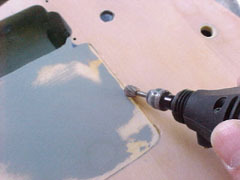 This relief gives glue chance to escape around the piece. How much truth is in this? No idea, but prevention is better than trying to cure it after the fact. 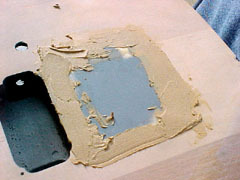 Cut or sand the excess off. 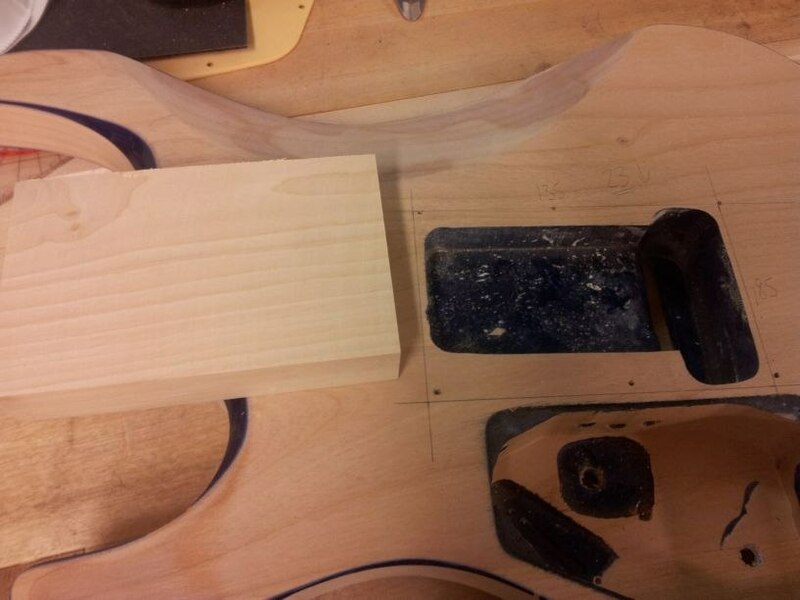 It's easier to do it at this stage than it is when it's glued in the guitar. Great. Now we're ready to get that block glued in! 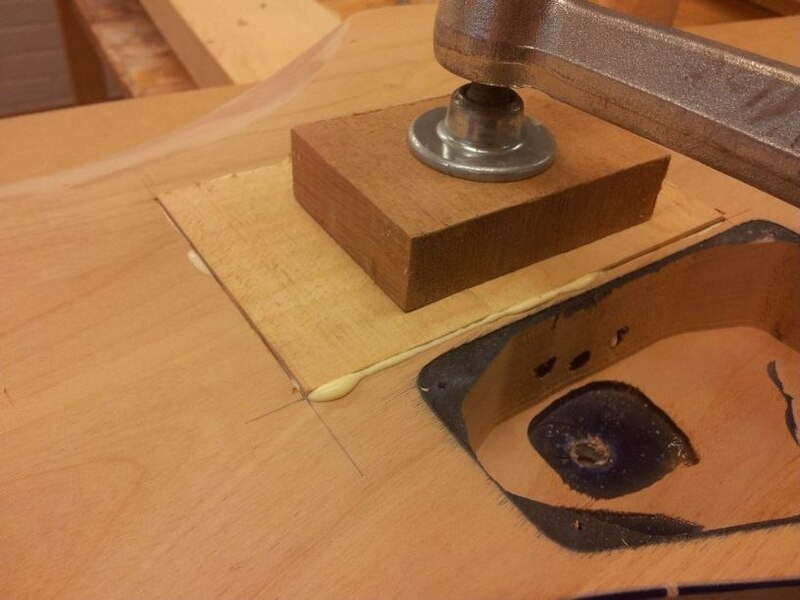 Because the fit is tight from the outset, you really don't need to go crazy with the glue. 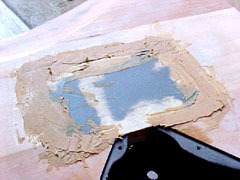 Each mating surface needs to be wetted. Wipe up excess squeezeout with a damp cloth. 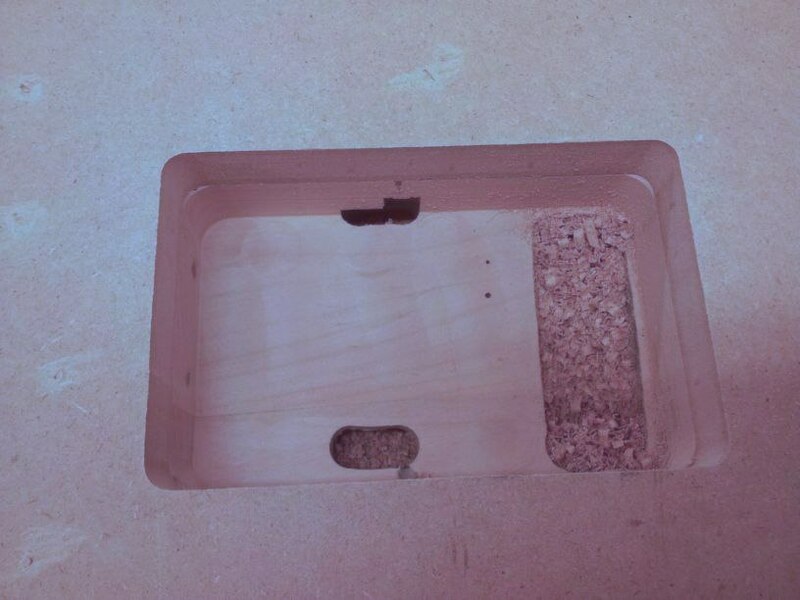 The finished infill after handplaning and sanding flush. The next step is to do the same process to the other side. Mark up where the infill needs to be. I used another piece of that same 85mm wide Alder for this infill also. 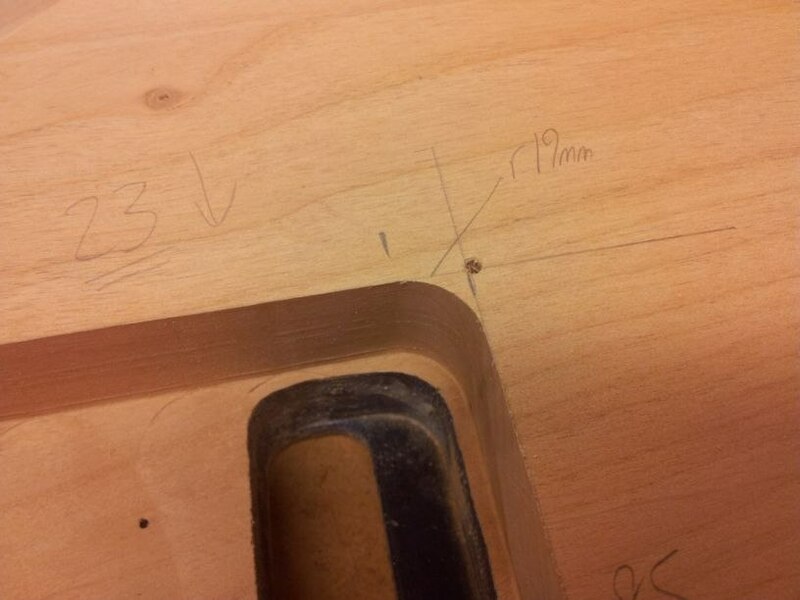 Check how deeply we need to go (13mm). 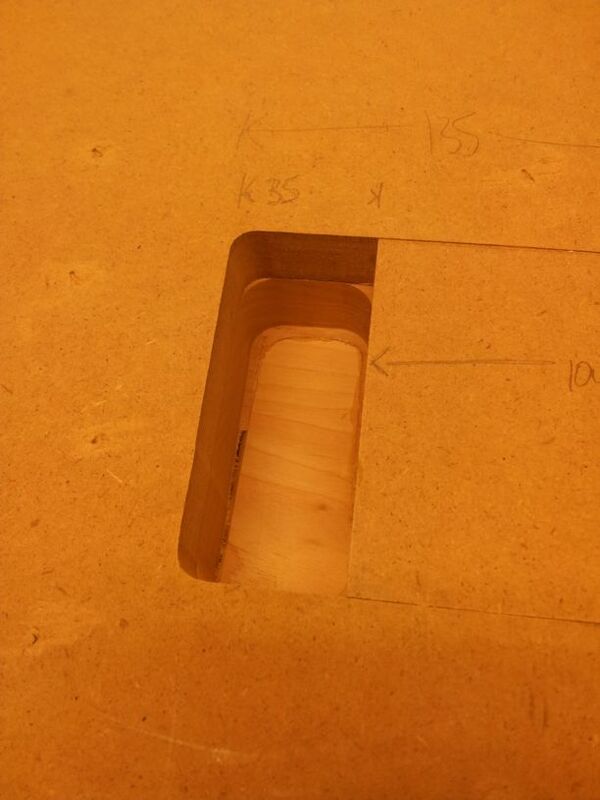 Then mark out the infill. 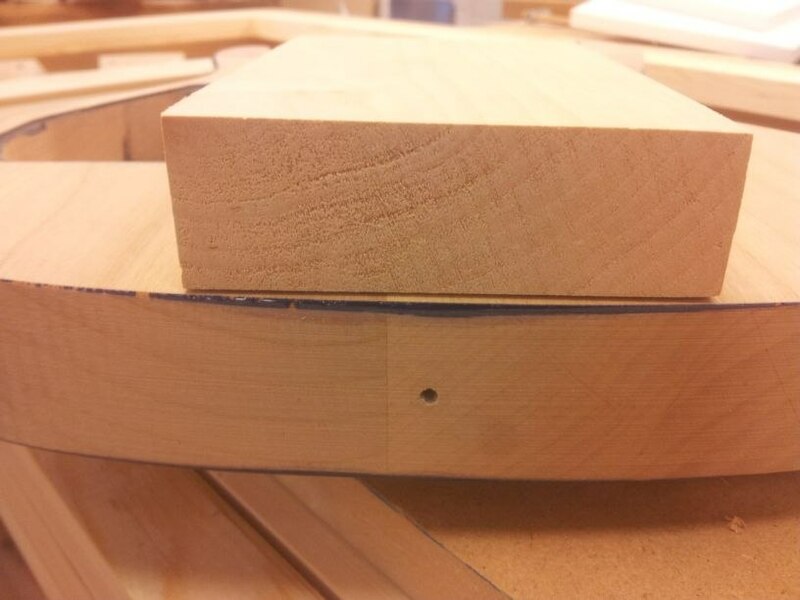 Using a Dremel tool, trace a small channel around the seams of each infill. 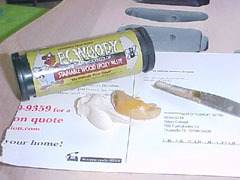 Mix up some good quality non-shrinking epoxy wood filler. Fill out the channels and allow to cure. Sand back flush with the body, now you're ready to fit the hardtail! Trem To Hardtail Conversion by Carl Maltby is licensed under a Creative Commons Attribution-NonCommercial-ShareAlike 4.0 International License. great info here, this is quite a project!! how long did the whole mod take you? in days that is? Thanks! 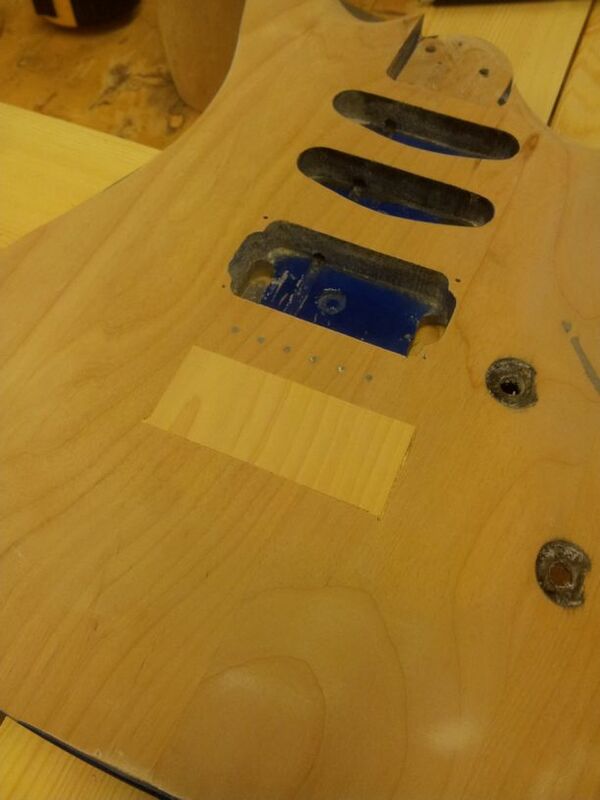 Well, aside from sanding off the original paint and veneer, the work took less than three hours. Partly because of it not being the first time I have done this, but mostly because of having access to good tools/machines. 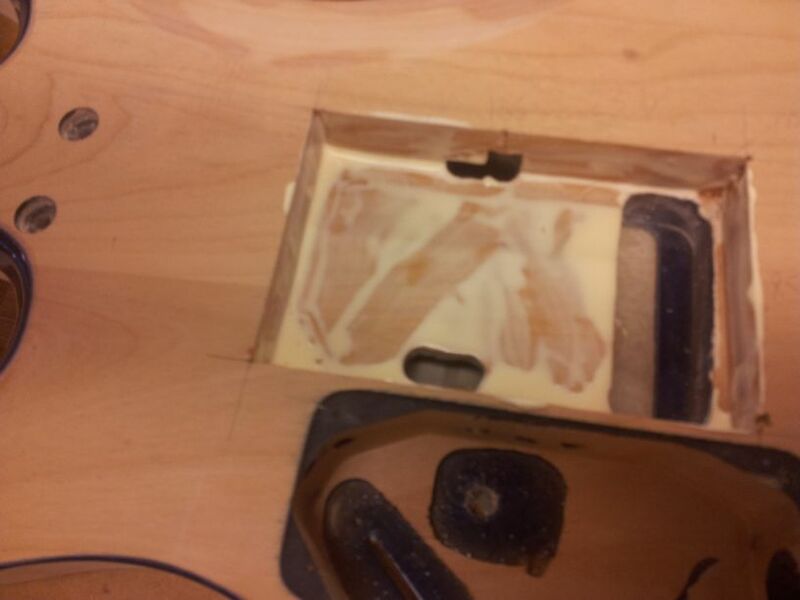 If you have a table saw and a good router then that is most of the tooling needed. 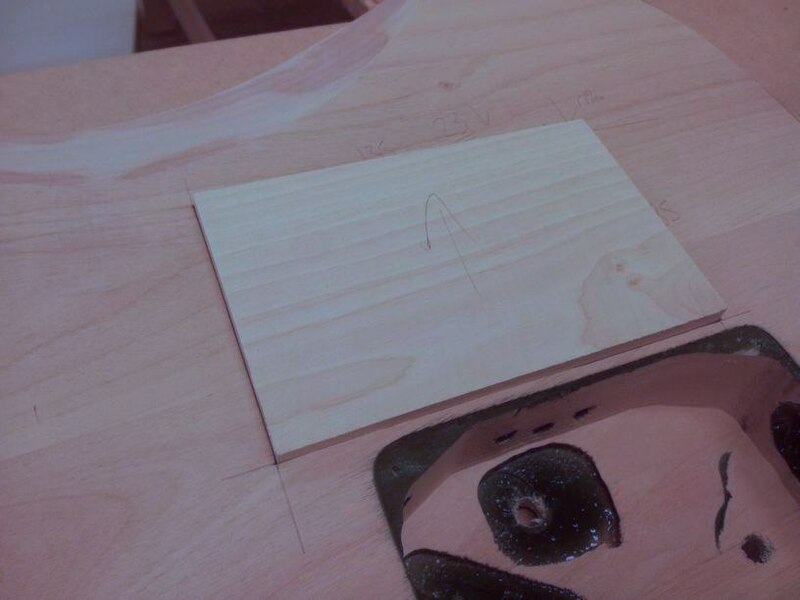 A jointer and thicknesser make it quicker to prepare accurate infill material, but nothing that a well set up table saw cannot manage. Putting thought into how to apply these steps to your own experience and available tooling is most of the hard work I think. 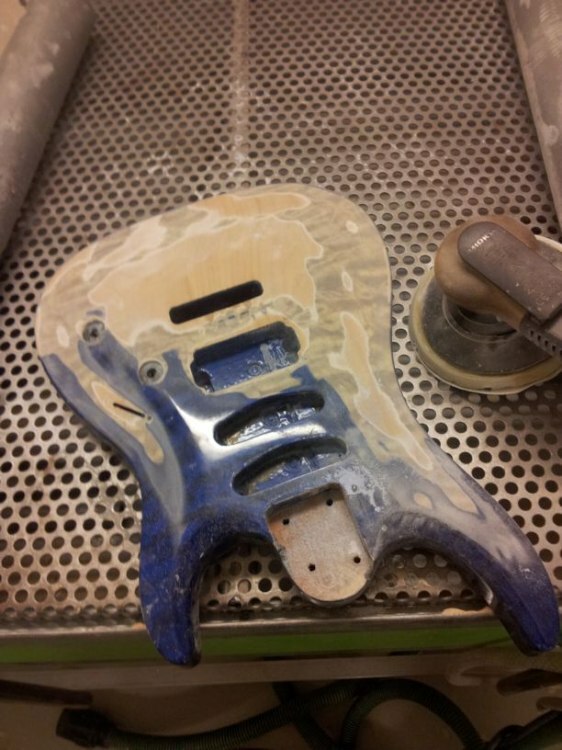 If you need help on working out how to manage this yourself, lets have a look at your project over on the forums! I will do a better job documenting some of my work, im almost done with a build of my own... its been a slow process but I'am really happy with the results so far. Ill share it very soon! !